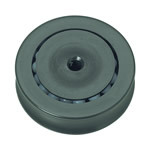 With plain attachment eye. 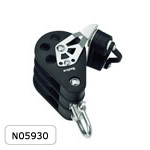 Fully swivelling head with removable shackle. 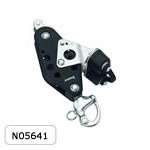 With a cast stainless steel swivelling snap shackle. 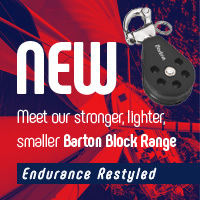 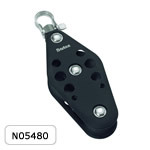 Ideal for quick-release downhauls or vang tackles. 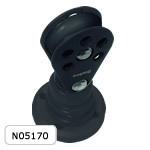 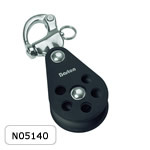 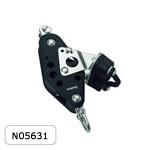 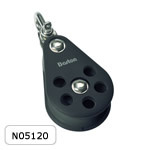 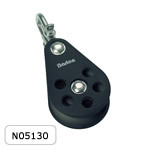 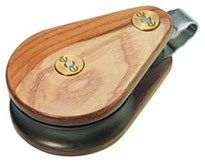 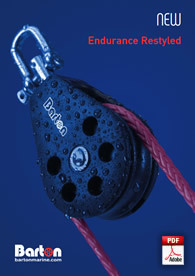 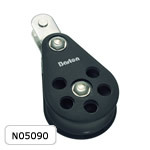 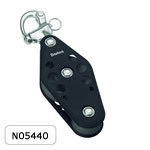 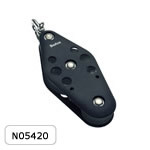 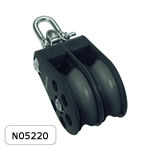 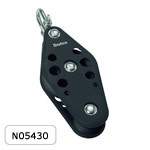 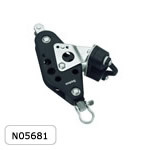 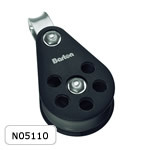 Allows swivel to be locked at 30° positions in relation to sheave. 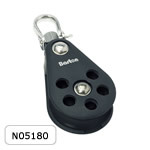 Inverting the plastic locking piece converts the swivel mode. 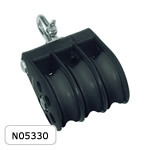 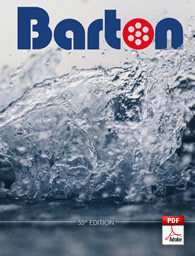 Supplied with screw pin strip shackle. 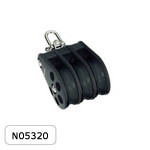 All the appropriate 54mm blocks are available with or without becket.